The Lexmark X9350 is no longer in the production or for sale by Lexmark. The printer is a reasonable choice for people who are micromanaging their budget. The all-in-one design accommodates a private office or home and is not ideal for meeting the demands of hectic environments. On a degree from 1-5, the printer deserves a 3. The printer costs around $100 dollars for the budget-conservatives. 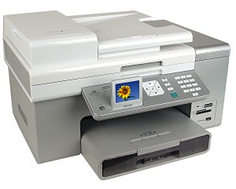 The Lexmark X9350 features an integrated Automatic Document Feeder and duplexer. The media card reader is incorporated. The PictBridge Port is available. The printer facilitates growth with paper handling. The scan quality is worthy of professional documents. The wired ports and wireless networking can be implemented. The design of the Lexmark X9350 looks elegant. The thermal ink jet is capable of color printing with cyan, yellow, magenta, and black. The print resolution of black documents is 1200 x 1200 dots per inch. Print resolution for color is 4800 x 1200 dots per inch. Lexmark declares the printer to take maximum print-rate of 32 pages each minute in black, and 27 pages per minute in color. The size of the X9350 is 18 inches in width, 15.1 inches in depth, 10.6 inches in height, and weighs 22.5 pounds; The Lexmark printer is ideal to place on any desktop. The printer is lightweight enough to carry with one arm. There are various flash memory formats supported by the printer; the CompactFlash, IBM Microdrive, SD Memory Card, Memory Stick Pro, xD-Picture Card, and Memory Stick. The copier section will print up to 27 pages per minute with a maximum reduction of 25%, and a maximum enlargement of 400%. The CIS scan element will deliver documents an optical resolution of 1200 x 4800 dots per inch, or interpolated resolution of 19200 x 19200 dots per inch with a 48-bit color depth. The fax transmission speed of 33.6 Kilo Bytes Per Second and PC faxing makes the printer a well-rounded faxing machine. The warranty is unique with a three-year plan for replacing parts and printers. While the mediocre printer has received just as many positive reviews as negative, the best reviews indicate the quality of prints, small prices, integrated Wi-Fi, and Duplexing. Taking these components into consideration, the Lexmark printer has been categorized as a workhorse. The worst aspect of the review was that the printer was a little noisy. There were 27 reviews on Cnet.com which average out to 3.5 stars out of five. The known Windows operating systems compatible with the printer are the Windows XP and Windows 2000. Updated drivers would have to be downloaded from the Lexmark.com site to ensure the printer works on newer versions of operating systems. The task speeds are a little iffy, and the print quality needs more refinement. The feature set is quite limited when photos are printed without PCs. The manual feed slot will experience misaligned papers when the papers are fed through it. The duty cycle recommended is 5,000 pages per month; this is a little slow for demanding businesses but would appropriate the home. Unfortunately, the collator, stacker, stapler, and binder finishing touches are not available in the printer. Reviewers on Cnet.com, who have given the printer a low score have regarded the printer as "the worst printer I have ever had". There have been complaints regarding reinstalling the software numerous times and the ink cartridges lasting for 50 pages. As the popular saying goes, "where there is smoke, there is fire". Incompatibility issues have been reported, namely, Windows Vista. Sometimes the printer will not print accurately or anything but plain-paper. There are various issues reported with the software, printing capability, unstable connections and low ink-supply. The performance of the printer varies from PC to PC. It depends on the PC's hardware and software specifications for the optimal performance of Lexmark X9350. Review it: "Lexmark X9350 "
The Lexmark/43 color cartridge yields up to 500 pages; it produces luminous tones and shades while adding professional perspective to your documents. 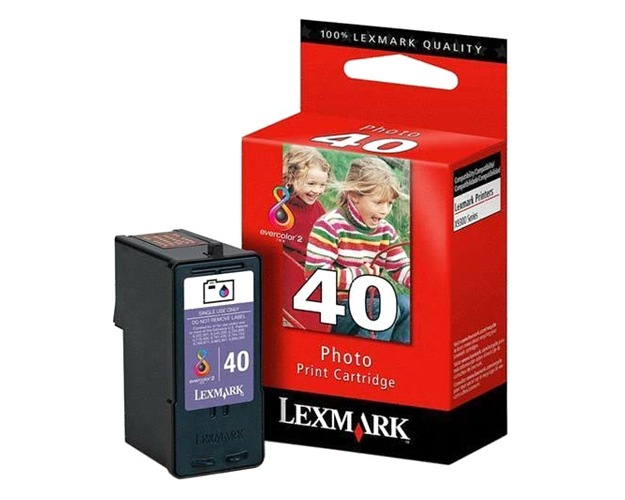 The Lexmark/40 photo cartridge yields up to 5,000 photos; the ink produces radiant colors for your photos. The OEM Lexmark 41/42 black and color ink package will yield 212 pages per unit; the ink is smudge-resistant, water resistant, and acid-free for superior print quality. 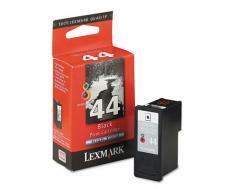 The Lexmark high-yield 44 black ink print cartridge will yield approximately 500 pages; the yield depends on the complexity of documents.